There are 88 modern constellations in the sky that have been accepted .Many of these are not visible or only partly visible at different times of the year from the northern or southern hemisphere . This series of articles is about southern hemisphere visible consteallations. 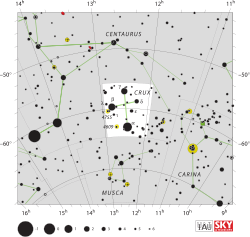 This constellation is always the point of reference when looking at the southern night sky .